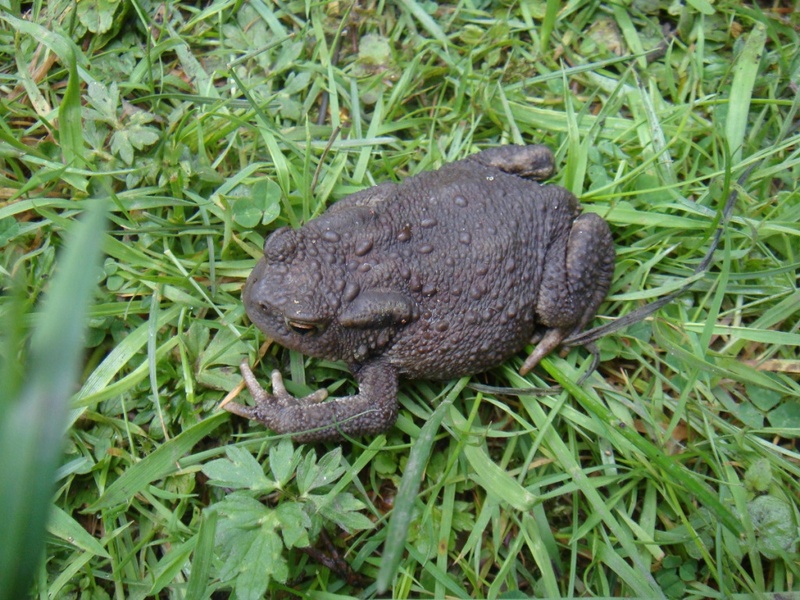 The warty, dry skin easily distinguishes the Common Toad from the Common Frog. It also has orange eyes with horizontal pupils. 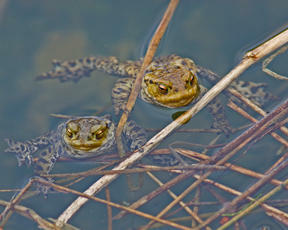 Ponds at breeding time. 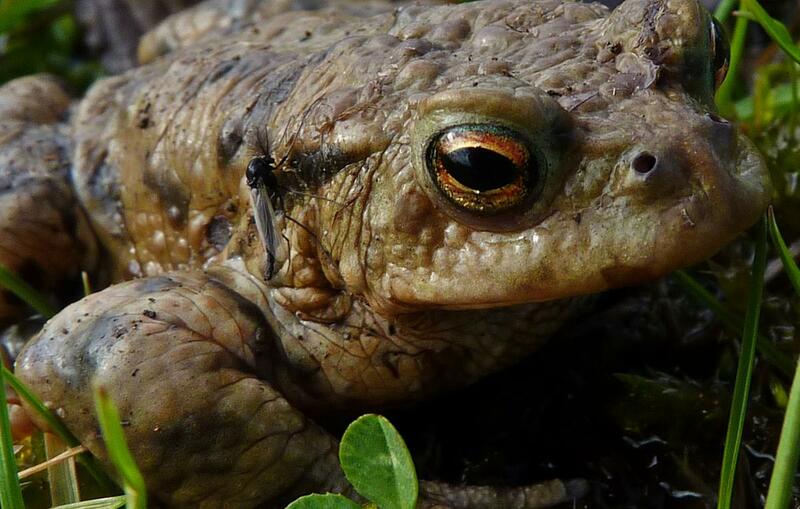 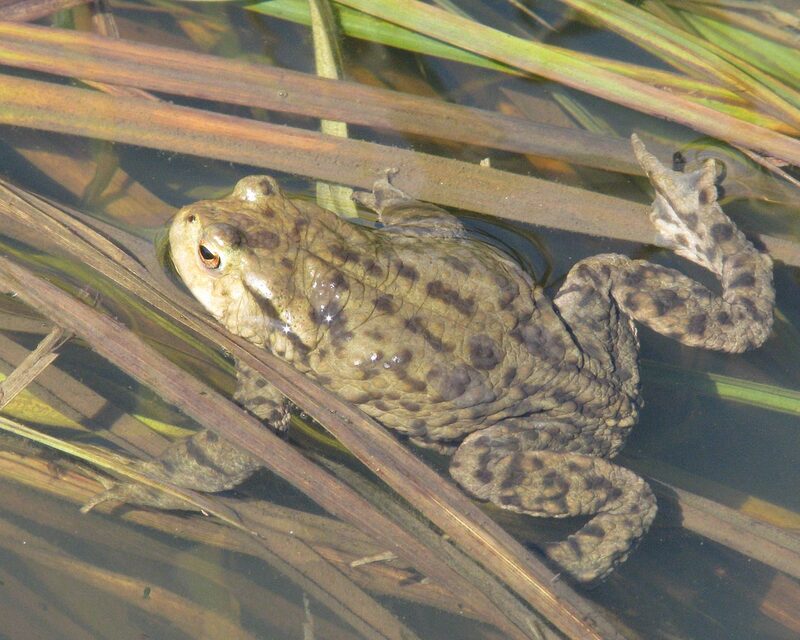 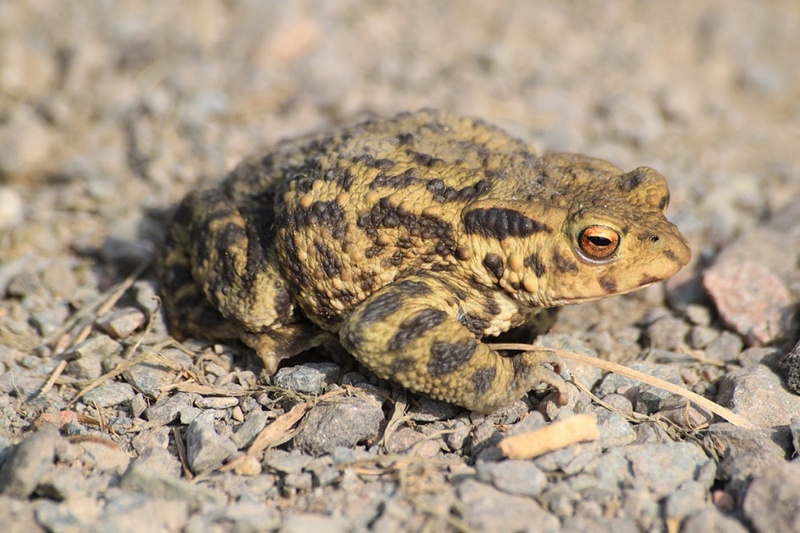 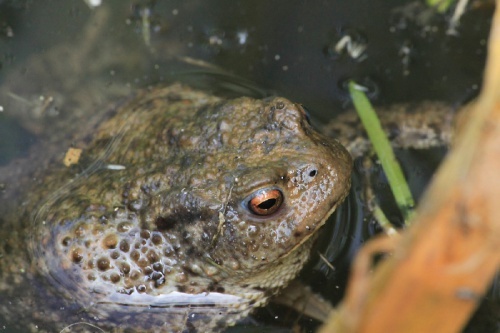 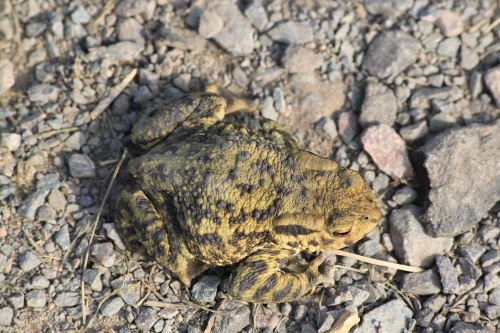 Adults toads live in drier habitats than frogs and can move 2km or more from their breeding pond, which they then try to return to next season. 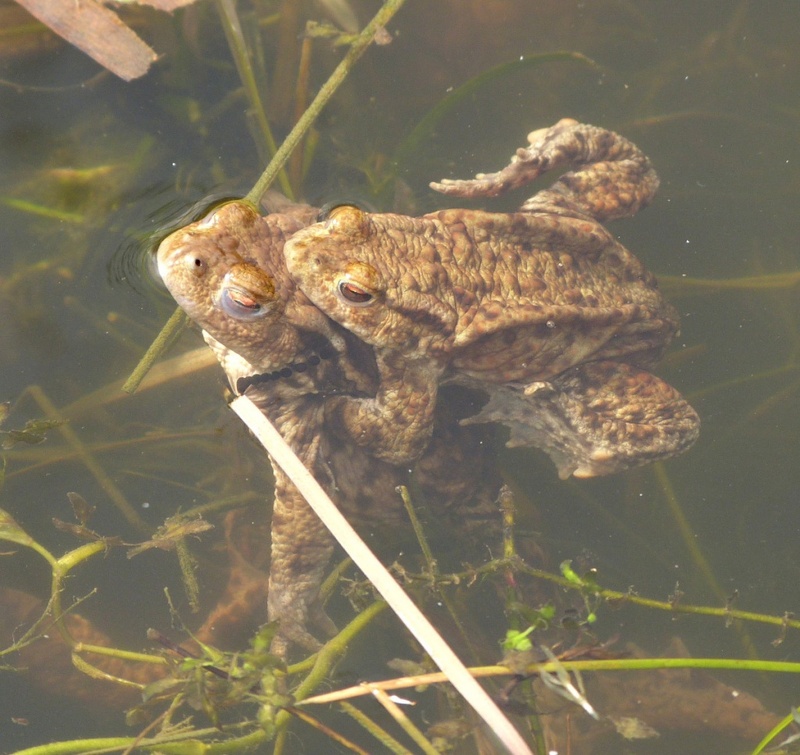 The female is around twice the size of the male. 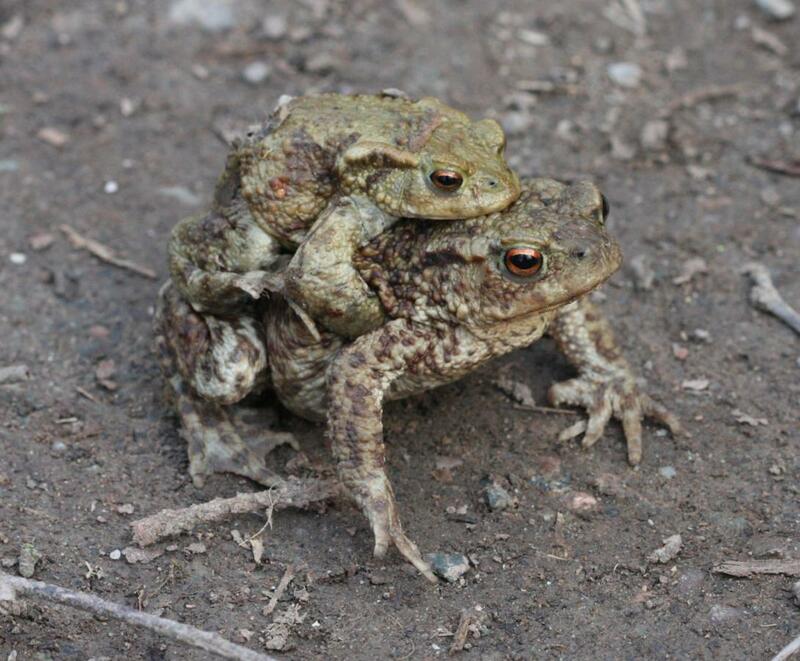 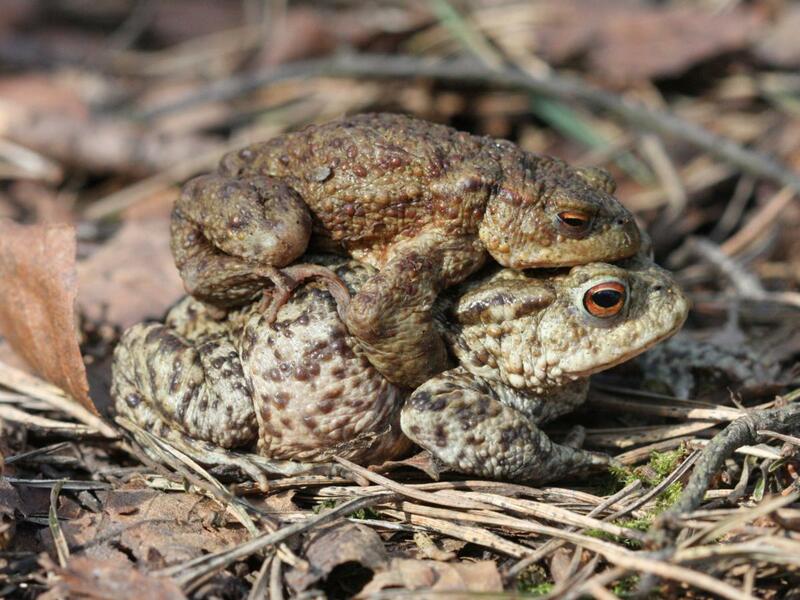 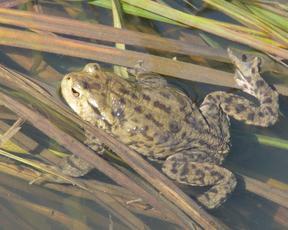 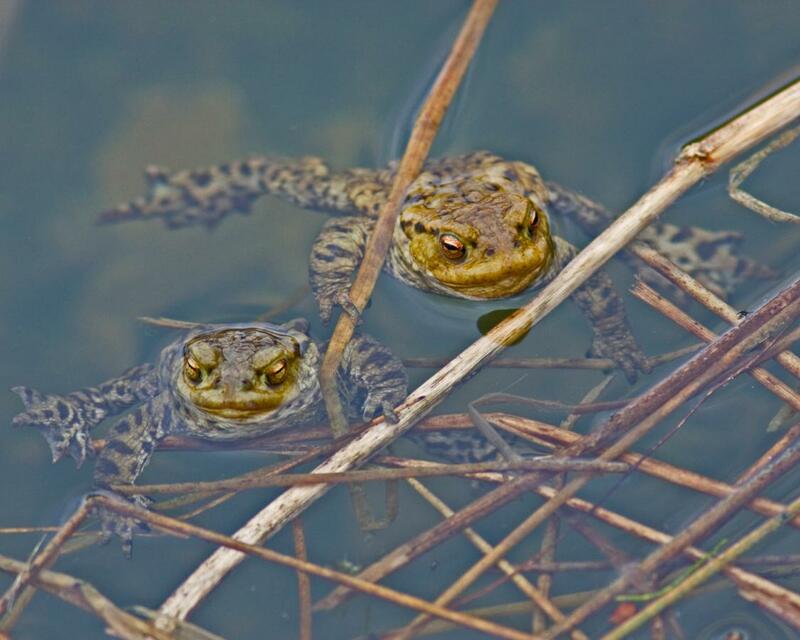 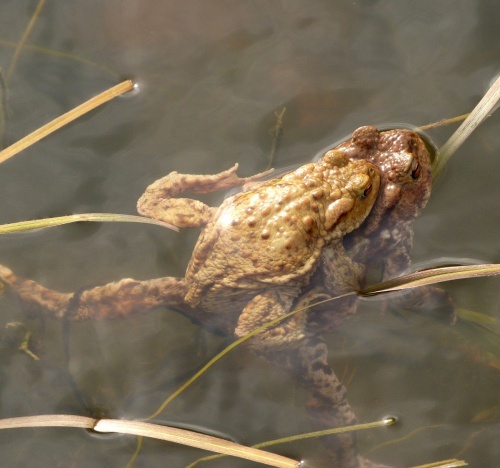 At breeding times, Toads make their way to ponds and lakes where males embrace females in a strong arm lock. 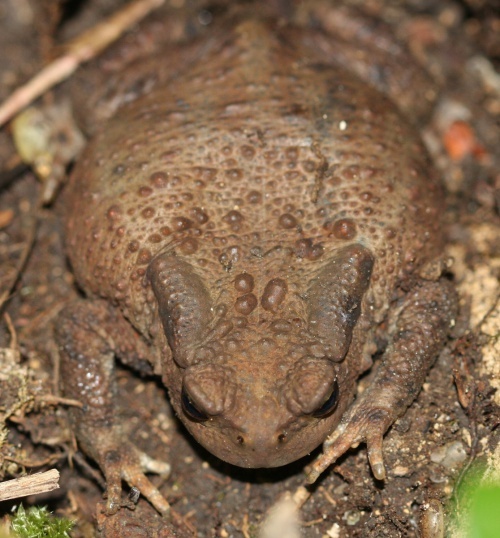 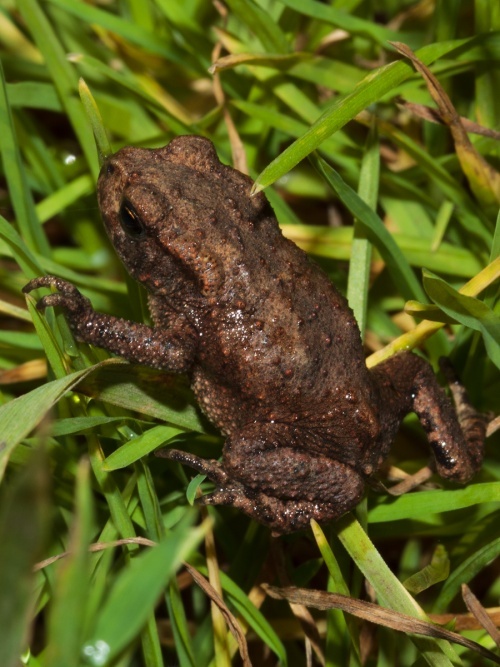 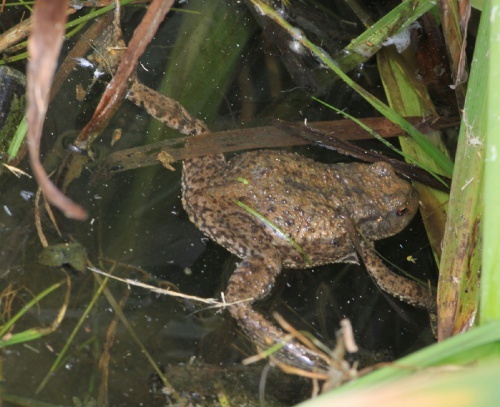 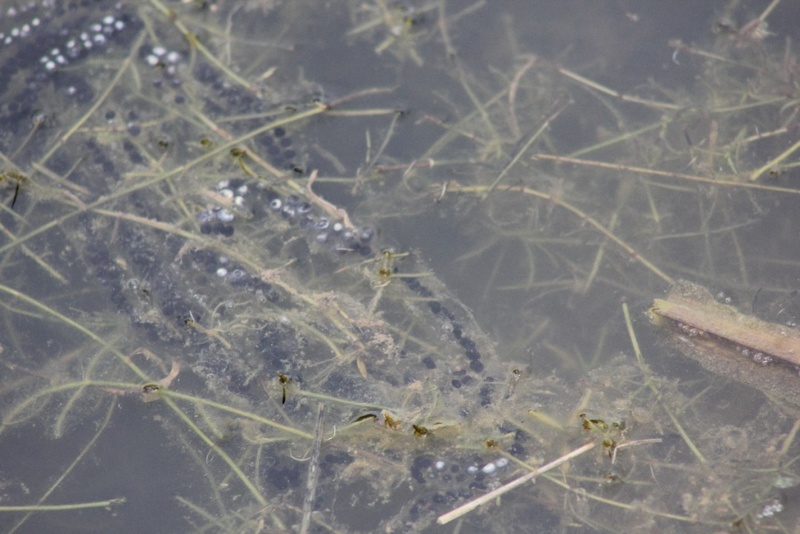 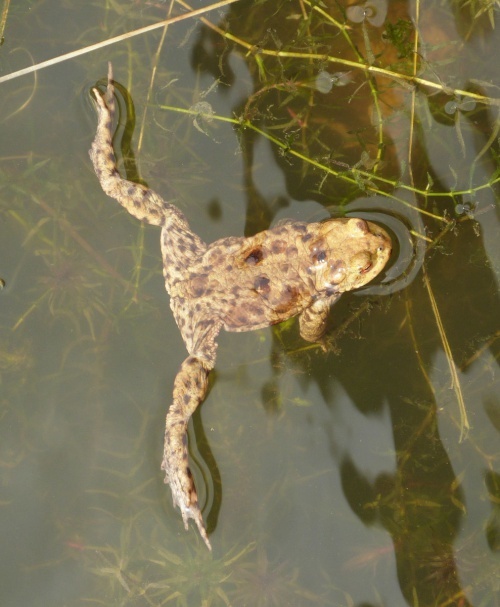 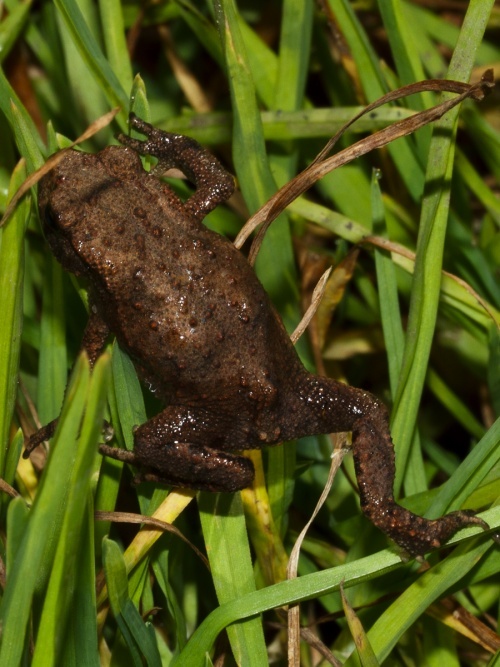 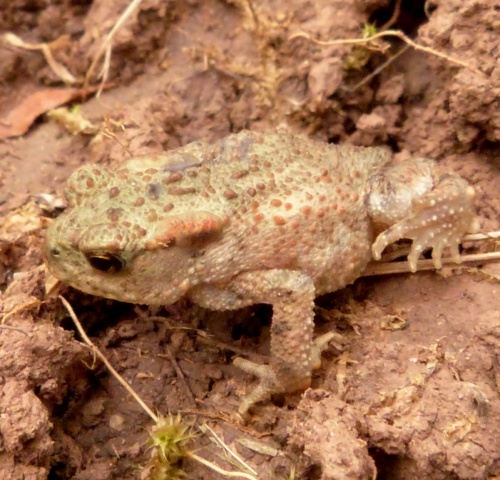 Toad spawn is laid in long strings, compared with the large clumps from frogs.Toads generally hunt at night and are most active in wet weather. As a defence against predators they secrete a toxic, foul tasting substance called bufagin. 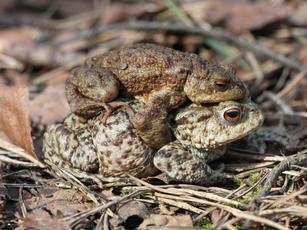 This is enough to deter many predators although Grass Snakes and Hedgehogs are immune. 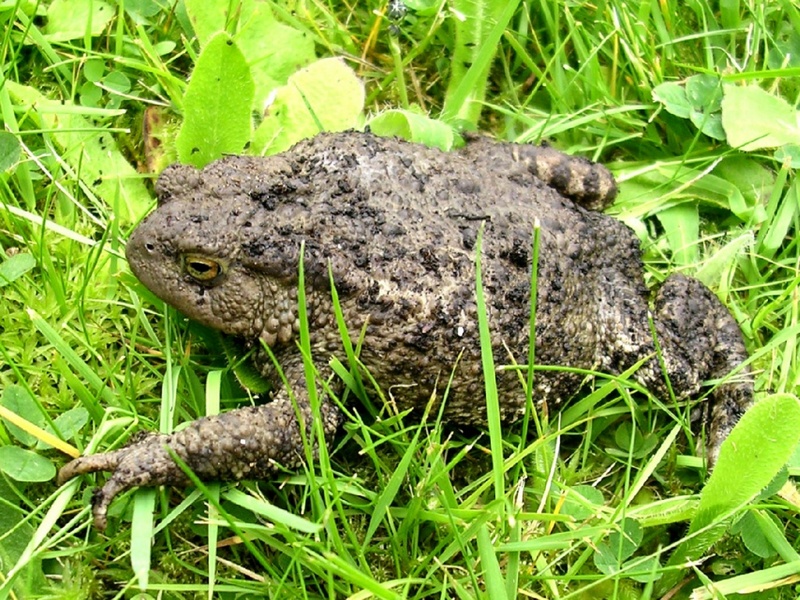 Adult Common Toads eat invertebrates such as insects, larvae, spiders, slugs and worms, which they catch on their sticky tongues.